Senior official in Washington says Trump is interested in recognizing Jerusalem, without moving the embassy for now. 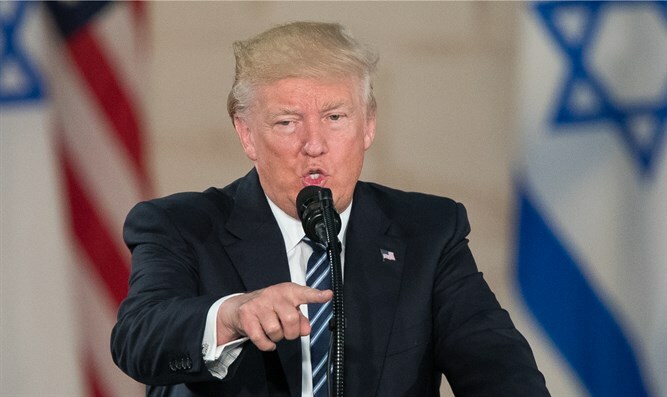 However, this move does not indicate that the president does not intend to sign the waiver postponing the embassy move from Tel Aviv to Jerusalem for six months, as every president has done since 1995, when Congress passed the Jerusalem Embassy Act, requiring the president to move the US embassy to Israel’s capital. Under the law, the president may delay implementation of the act for security reasons, renewing the waiver every six months. Pence addressed the embassy issue this week, saying Trump was considering when to follow up on his campaign promise to relocate the embassy in Israel to Jerusalem. The vice president’s comments were made during the keynote address at an event in the old United Nations General Assembly hall in New York Tuesday. On Wednesday, Hahadashot (formerly Channel 2 News) reported that senior officials in Jerusalem said that the Israeli government expected an announcement from the White House in the coming days, announcing the embassy move and the formation of a special team to implement the move.